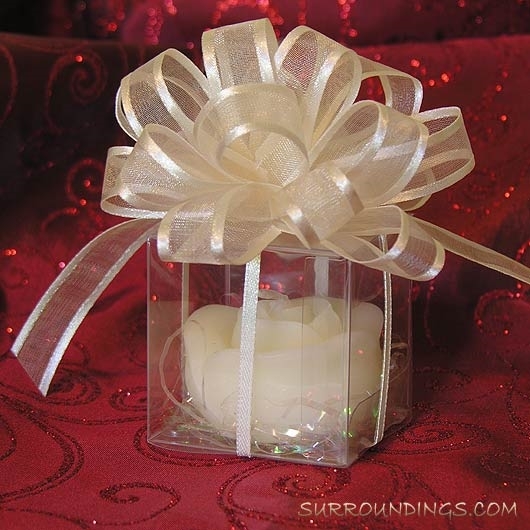 Just pull inner ribbon and you've got a beautiful 4" bow. Bows are sheer with a satin edge. 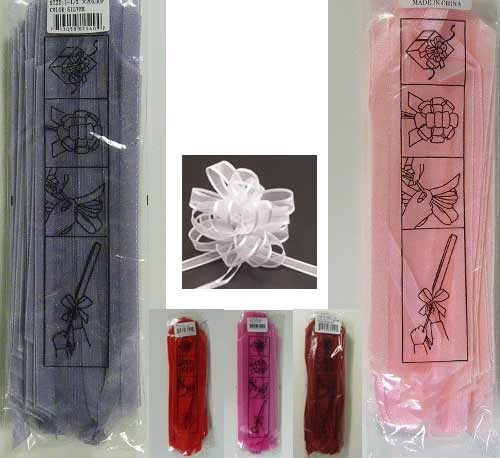 Ribbon is 5/8" and are sold in package of 12 bows.